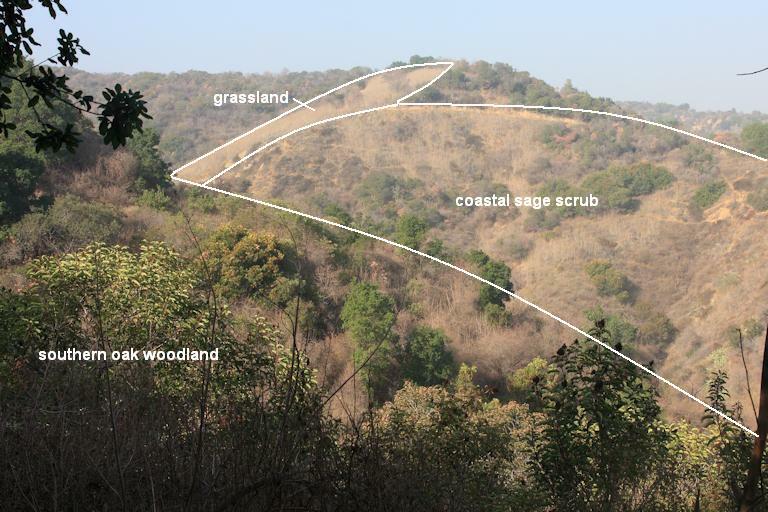 The north-facing slopes and canyon bottoms are cool, shady and moist; while the south-facing slopes are hot, sunny and dry. Coast live oak, Quercus agrifolia, is the dominant plant with scattered shrubs of laurel sumac, toyon and elderberry. This fits pretty well, but what about the oaks? Where do they come in? He goes on to say Southern Oak Woodland is dominated by one of the large oak species. In our case, it is coast live oak. This woodland occurs on moist sites with deep soil on canyon bottoms and north-facing slopes. Live Oak Woodlands exist as islands within Coastal Sage Scrub. 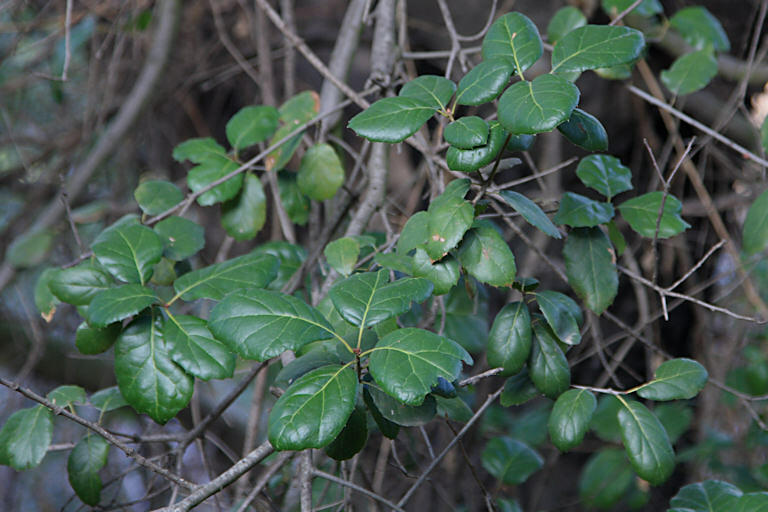 The leaves of coast live oak are highly variable. These leaves in the shade are flatter and larger than those in the sun. Photo by Graham.